حاجی یوسفی, امیرمحمد, ذاکری, مهدخت. (1396). شناسایی حداکثری و منازعات بازفرجام خاورمیانه: یک مدل نظری. پژوهش های روابط بین الملل, 7(24), 79-108. امیرمحمد حاجی یوسفی; مهدخت ذاکری. "شناسایی حداکثری و منازعات بازفرجام خاورمیانه: یک مدل نظری". پژوهش های روابط بین الملل, 7, 24, 1396, 79-108. حاجی یوسفی, امیرمحمد, ذاکری, مهدخت. (1396). 'شناسایی حداکثری و منازعات بازفرجام خاورمیانه: یک مدل نظری', پژوهش های روابط بین الملل, 7(24), pp. 79-108. حاجی یوسفی, امیرمحمد, ذاکری, مهدخت. شناسایی حداکثری و منازعات بازفرجام خاورمیانه: یک مدل نظری. پژوهش های روابط بین الملل, 1396; 7(24): 79-108. 2دانشجوی دکتری روابط بین الملل، دانشگاه شهید بهشتی، تهران، ایران. تاریخ معاصر منطقه خاورمیانه همواره با انواع منازعات همراه بوده است. شورش‌های قومی و مذهبی، ظهور انواع گروه‌های تروریستی، منازعات محلی، جنگ‌های بین دولتی و انواع مداخلات خارجی در امور دولت‌های منطقه، همه از مواردی است که مردم خاورمیانه در طول سالهای اخیر با آن مواجه بوده اند. این مقاله بر آن است که ابتدا با معرفی مفهوم «منازعات بازفرجام» به این بپردازد که با تاکید بر منازعات پس از سال۲۰۰۳، منطقه خاورمیانه محل وقوع منازعاتی تکرارشونده و بی پایان بوده است. در تحلیل چرایی و بازفرجامی این منازعات، پژوهش‌های متعددی اغلب با رویکردهای اثبات‌گرایانه انجام پذیرفته است. ادعای اصلی این مقاله این است که بررسی چرایی وقوع چنین منازعات بازفرجامی با رویکردهای غالب اثبات‌گرایانه از جمله نظریه رآلیستی قابل حصول نیست. لذا به منظور پرنمودن این خلا، مقاله با استفاده از مفهوم غیررآلیستی «شناسایی»، مدل «چهار وجهی شناسایی حداکثری» را به مثابه ابزاری نوین برای تحلیل چرایی وجود منازعات بازفرجام خاورمیانه ارائه می نماید. جعفری ولدانی، اصغر (۱۳۹۴) چالش ها و منازعات در خاورمیانه، تهران: پژوهشکده مطالعات راهبردی، چاپ دوم. حاجی یوسفی، امیرمحمد (۱۳۹۲) جنگ ایران و عراق از نگاه نظریه های روابط بین الملل، تهران: صفحه جدید. Allan, P. and Keller, A. (2006), What is a Just Peace? Oxford and New York: Oxford University Press. Anderson BR. (1983), Imagined Communities: Reflections on the Origin and Spread of Nationalism. London: Verso. Azar, E., Jureidini, P. and McLaurin, R. (1978), Protracted social Conflict: Theory and Practice in the Middle East, Journal of Palestine Studies, 8, No. 1, 41:60. Ben-Dor, G. (1983), State and Conflict in the Middle East: Emergence of the Postcolonial State, New York: Praeger Publishers. Bloom W. (1990), Personal Identity, National Identity and International Relations. Cambridge: Cambridge University Press. Brecher, M. (2008), International Political Earthquakes, United States: Michigan University Press. Buckley-Zistel S. (2008), Conflict Transformation and Social Change in Uganda: Remembering after Violence. Basingstoke: Palgrave MacMillan. Campbell, D. (1992), Writing Security: United States Foreign Policy and the Politics of Identity, Minneapolis, MN: University of Minnesota Press. Connolly, WE. (1991), Identity/Difference. Democratic Negotiations of Political Paradox. Madison,WI: University of Wisconsin Press. Daase C. et al. (Eds.) (2015), Recognition in International Relations Rethinking a Political Concept in a Global Context, UK: Palgrave Macmillan. Deutsch, M. et.al. (Eds.). (2006), The Handbook of Conflict Resolution Theory and Practice, Second Edition, San Francisco: Jossey-Bass. Diehl, P. and Goertz, G. (2001), War and Peace in International Rivalry, Michigan, The University of Michigan Press. Erikson, EH, (1959), Identity and the Life Cycle; Selected Papers. New York: International Universities Press. Giddens A. (1991), Modernity and Self-identity: Self and Society in the Late Modern Age. Stanford, CA: Stanford University Press. Goerzig, C. and Hofmann, C. (2015), The Dark Side of Recognition: Mutual Exclusiveness of Passive and Active Recognition in the Middle East Conflict, in Daase C. et al. (2015) Recognition in International Relations Rethinking a Political Concept in a Global Context, UK: Palgrave Mcmillan, pp. 237-247. Gause, G. (1992), Sovereignty, Statecraft and Stability in the Middle East, Journal of International Affairs, 45(2). Gustafsson, K. (2016), Recognizing Recognition Through Thick and Thin: Insights from Sino-Japanese Relations, Cooperation and Conflict, 51(3): 255-271. Honneth, A. (1996), The Struggle for Recognition: The Moral Grammar of Social Conflicts, Translated by Joel Anderson, Cambridge: MIT Press. Hinnebusch, R. (2013), The international politics of the Middle East, Manchester: Manchester University Press. Hudson, M. (1977), Arab Politics: The Search for Legitimacy, Yale University Press. Huysmans J. (1998), Security! What do you mean? From concept to thick signifier. European Journal of International Relations, 4: 226–255. Kedourie, E. (1994), Democracy and Arab political culture. London: Frank Cass. Kinnvall C. (2004), Globalization and religious nationalism: Self, identity, and the search for ontological security. Political Psychology, 25: 741–767. Korany, A. and Dessouki, H. (2008), The Foreign Policies of Arab States, The Challenge of Globalization, The American University in Cairo Press; Revised edition. Korany, B., Noble, P. and Brynen, R. (1993), The Many Faces of National Security in the Arab World, St. Martin's Press. 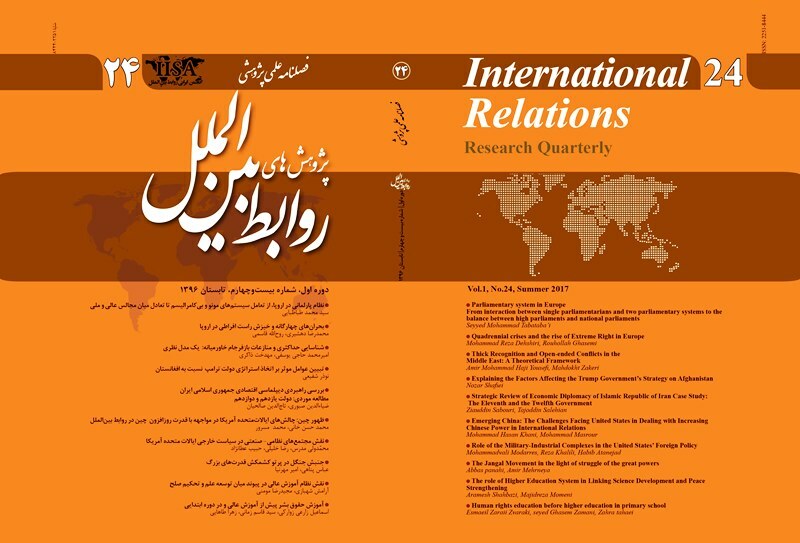 Lawson, G. (2015), Revolution, non-violence, and the Arab Uprisings, Mobilization: An International Quarterly, August. ISSN 1086-671X (In Press). Lebow R.N. (2006), The memory of politics in postwar Europe. In: Lebow RN, Kansteiner W and Fogu C (eds.) The Politics of Memory in Postwar Europe. Durham, NC: Duke University Press, pp.1–40. Lebow, R.N. (2008), Identity and International Relations, International Relations, 22(4): 473-492. DOI: 10.1177/0047117808097312. Lebow, R. N. (2010), Why Nations Fight, Cambridge: Cambridge University Press. Lindemann, T. (2010), Causes of War: The Struggle for Recognition. Colchester: ECPR Press. Miller, D. T. (2001), Disrespect and the Experience of Injustice, Annual Review of Psychology, 52:1, 527–553. Mitzen, J. (2006), Ontological Security in World Politics: State Identity and the Security Dilemma, European Journal of International Relations, SAGE Publications and ECPR-European Consortium for Political Research, 12(3): 341–370. DOI: 10.1177/1354066106067346. Möller, U. (2007), The Prospects of Security Cooperation: A Matter of Relative Gains or Recognition, Göteborg: Göteborg Studies in Politics. Murray, M. (2010), Identity, Insecurity and Great Power Politics: the tragedy of German Naval ambition before the first World War, Security Studies, 19:656-688. Northrup TA. (1989), The Dynamics of Identity in Personal and Social Conflict. Syracuse, NY: Syracuse University Press. Neumann I. (1999), Uses of the Other in World Politics. Minneapolis, MN: University of Minnesota Press. Owen, R. (1992), State, Power and Politics in the Making of the Modern Middle East, London; New York: Routledge. Ringmar, E. (1996), Identity, interest and action: A Cultural explanation of Sweden's intervention in the Thirty years' war, Cambridge: Cambridge University Press. Ringmar E. (2012), The international politics of recognition. In: Lindemann T and Ringmar E (eds.) The International Politics of Recognition. Boulder, CO: Paradigm Publishers. Sorli et al. (2005), Why Is There So Much Conflict in the Middle East? Journal of Conflict Resolution, 49(1), pp. 141-165, DOI: 10.1177/0022002704270824. Stern M. (2001), Naming In/security — Constructing Identity: ‘Mayan-Women’ in Guatemala on the Eve of ‘Peace’. Göteborg: Padrigu Papers. Strömbom, L. (2014), Thick recognition: Advancing theory on identity change in intractable conflicts, European Journal of International Relations, 20(1), pp. 168–191. Taylor, A. (1982), The Arab balance of power, United States: Syracuse University Press. Taylor, C. (1992), The politics of Recognition, in Gutmann, A. (Eds. ), Multiculturalism and 'The Politics of Recognition', Princeton, NJ: Princeton University Press, pp. 25-73. Telhami, Sh., Barnett, M. (2002), Identity and Foreign Policy in the Middle East, Cornell University Press. Weldes J, Laffey M, Gusterson H, et al. (1999), Cultures of Insecurity, Minneapolis, MN: University of Minnesota Press. Wendt, A. (2003), Why a World State is Inevitable, European Journal of International Relations, 9(4): 491–542. Zakeri, M. (2016), De-territorialized Phenomenon: ISIS as a Hybrid Criminal Organization, Hemispheres, studies on cultures and societies, Warsaw, Vol. 31, No.1, pp. 38-45.